The life of Kim Jong-il may have ended, as it began, in the official hagiography surrounding the secluded dictator of North Korea, with a lie. […] The myths of the Kim guerilla dynasty are not being discarded but actually strengthened as this contemporary version of the ancient Korean ”hermit kingdom” moves into succession by the third generation. 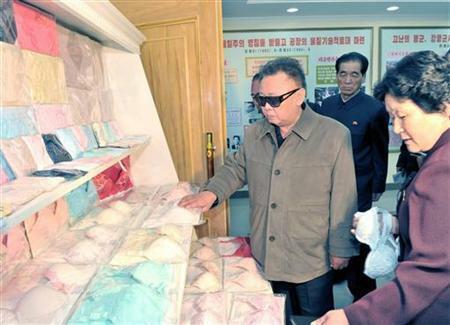 The chosen ”Great Successor” – Kim Jong-il’s third son, Kim Jong-un – was consciously picked by his ailing father as a political throwback, one who would not change the rigid political system but intensify its hereditary personality cult even further. 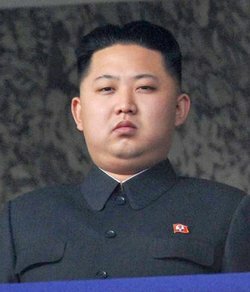 In 2003 a Japanese sushi chef, one of a succession of cooks imported to serve Kim Jong-il’s famous epicurism amid the endemic starvation among the North Koreans, reported that the youngest son exhibited suspicion and a ”glaring ferocity” towards strangers, notes Bradley Martin, author of the compendious study of the Kim dynasty, Under the Loving Care of the Fatherly Leader. Kim Jong-un emerged as the heir apparent, given a four-star general’s rank in the 1.1 million-strong Korean People’s Army and taken on his father’s visits to China and Russia to be introduced, after Kim Jong-il’s severe stroke in August 2008 telescoped what would otherwise have been a more careful preparation to succeed – like Kim Jong-il’s own nomination in 1981, 13 years before Kim Il-sung died. But already the more obvious successor had been knocked out. Oldest son Kim Jong-nam had caused great embarrassment in 2001 when he was caught taking a family group into Japan on fake Dominican Republic passports – to visit Tokyo Disneyland. He dropped out of Pyongyang circles and since then has spent much of the time pursuing business interests in China and Macau. This was a convenient excuse for his father, say some specialists. Kim Jong-il had spent his early career known as the shadowy ”Party centre” enforcing orthodoxy on Kim Il-sung’s ”Juche” (Self-Reliance) development ideology. Then in power himself, he had pushed the Korean Workers’ Party to one side, and proclaimed a ”Songun” (Army First) strategy – in recent years amending the constitution to make the National Defence Commission the supreme authority and its chairman (himself) the country’s top leader. According to Russian officials like General Konstantin Pulikovsky, who travelled with Kim on his long train trips to Moscow (he hated flying), Kim could never be persuaded to think beyond centralised planning and heavy industry, the classic Leninist-Stalinist model. ”Kim Jong-il would always say something like North Korea can’t be a capitalist country because it’s a small country,” says Leonid Petrov from Sydney University, a Korea scholar trained at the Institute of Oriental Studies in St Petersburg. Worse than the Disneyland gaffe, the oldest son was showing signs of wanting to change the system. ”It is said that Kim Jong-nam lost favour because he had conflicting ideas with his father on national development and was not satisfied with his father’s Songun policies and his provocative and confrontational external policies,” says Cai Jian, a professor specialising in north-east Asia at Shanghai’s Fudan University. ”There were reports to say that he was indiscreet and told his friends if he took power he’d reform the economy,” Martin also heard. ”He is very close with the Chinese. He would have been their choice for the job.” Indeed, US diplomatic cables from China, revealed by WikiLeaks, show Chinese officials reluctant to acclaim the younger son at first. Still, Kim Jong-un is only somewhere between 27 and 29, and little is known about his upbringing except for a short spell at a private school in Switzerland. Can he really develop into a strong leader in his own right? Or will he be a figurehead while factions and contenders emerge from the army, the party, the bureaucracy, and the Pyongyang elite? Petrov says it could be anything up to three years before it becomes clear, with the appointment of the chairman of the National Defence Commission to replace Kim Jong-il. 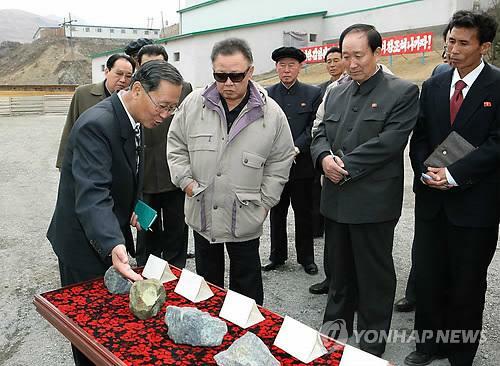 The second in charge at present , as first vice-chairman, is the brother-in-law of the dead leader, Jang Song-taek, an urbane 65-year-old with military and Chinese connections as well as his dynastic link through marriage to Kim’s sister, Kim Kyong-hui. The couple are mentors to the successor, and Jang could become effectively a regent.